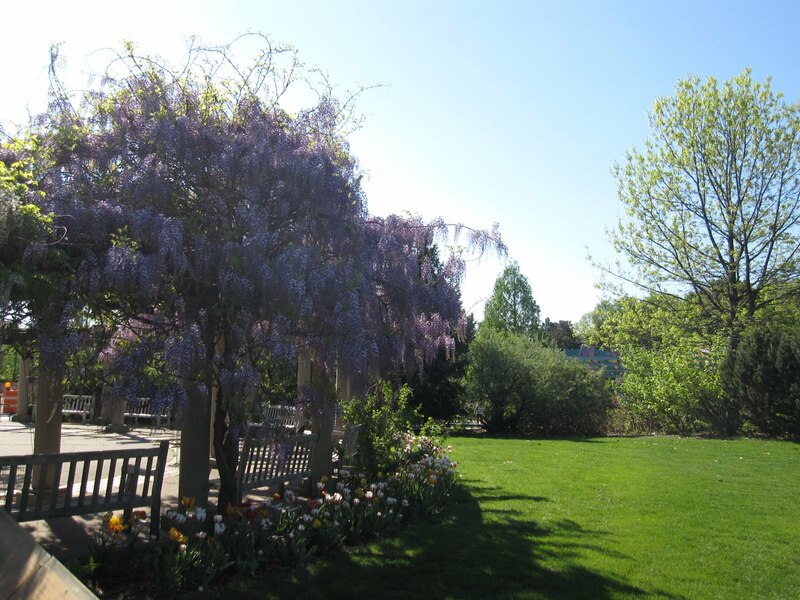 Beautiful picture and it's great that you're enjoying the lavender wisteria blooms! By the way, wisteria is a very invasive vine in the southeast and established vines require pruning 4 times a year even as far as New York state. 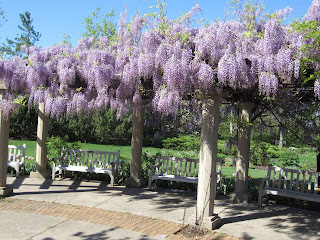 In Georgia wisteria ropes into a half-foot vine that can take down even tall natives like loblolly pines and water oaks. 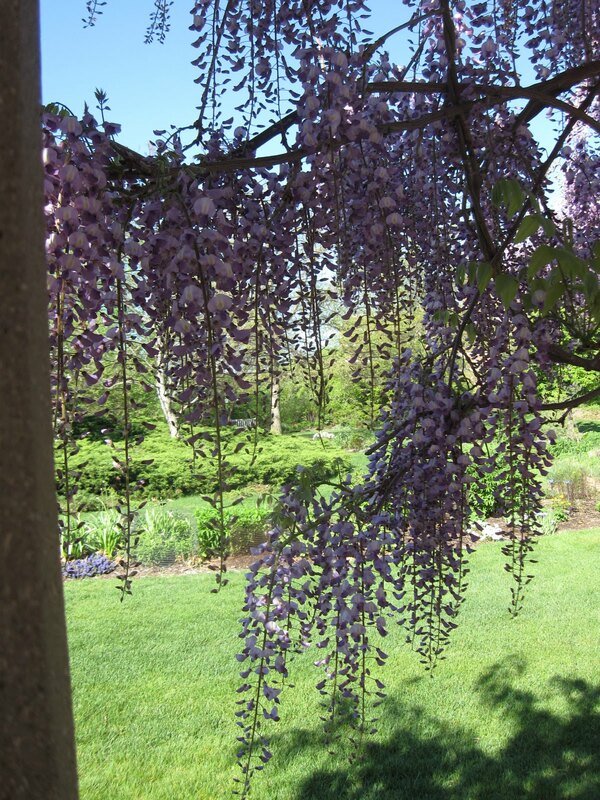 While wisteria has a spicy, rich fragrance and beautiful blossoms, please remember that it can be very invasive and produce cable-thick roots 5 inches under the ground in certain climates. In Decatur GA, we tore up 12 yard-bags of wisteria vine when we move into our quarter acre lot and we still have wisteria coming up every year. Too bad my HOA doesn't allow plants that are intertwined with the balcony railings. 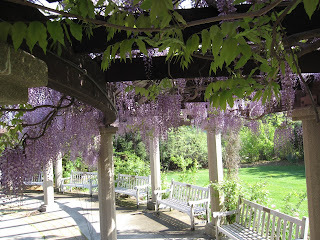 It would look awesome with wisteria! Great pics! Good points -- here in Michigan wisteria is actually a fairly well-behaved vine, but you are right: In the South, I wouldn't recommend them.